Currently, it is not possible to undertake a wide range of processes in a seamless automated operation with a single manufacturing system. The OPENHYBRID project has been designed to address the technical and commercial limitations of current hybrid manufacturing systems by developing a single manufacturing system which can achieve this goal. 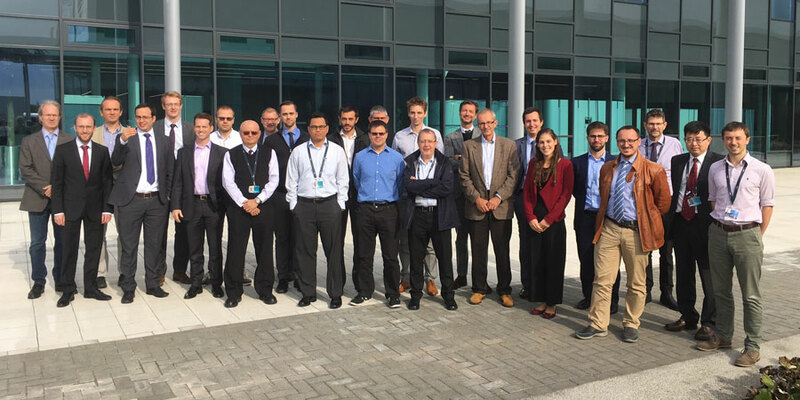 During 12th and 13th October the first meeting of the project took place, in Coventry, UK and it was hosted by Manufacturing Technology Centre (MTC). This new system will provide additional competitiveness to some of the most demanding and important industries in Europe, which will validate the approach through the production of industrial demonstrators. MTC, as the project coordinator, gathered at this meeting representatives of all the organisations involved in this project, which includes companies like SIEMENS AKTIENGESELLSCHAFT (Germany), Weir Group PLC (United Kingdom), FRAUNHOFER GESELLSCHAFT ZUR FORDERUNG DER ANGEWANDTEN FORSCHUNG EV (Germany), Mikron Agie Charmilles AG (Switzerland), ESI GROUP (France), Hybrid Manufacturing Technologies Limited (United Kingdom), GUDEL AG (Switzerland), TWI LIMITED (United Kingdom), BCT STEUERUNGS UND DV-SYSTEME GMBH (Germany), CENTRO RICERCHE FIAT SCPA (Italy), ESI SOFTWARE GERMANY GMBH (Germany), PICASOFT (France) and the European Federation for Welding, Joining and Cutting (Belgium).